We have the swimming pool equipment you need to keep your pool in top working condition. There are several categories of swimming pool equipment. There are the components that you couldn’t do without, those that make your life easier, and some that make your swimming pool safer. Here at Cayman Pool & Spa, you will find a complete line of the equipment, supplies, and services you need to keep your Harrisburg, North Carolina pool in top condition. 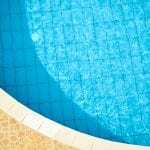 Some of the pieces of swimming pool equipment you cannot do without include pumps, filters, and pool liners. We have a variety of each of these, so you can get the right one for your type of pool and your specific needs. Our helpful and knowledgeable staff would be happy to assist you with selection and answering any questions you may have. We can also schedule an appointment for you with our professionals if you do not want to handle the installation yourself. In addition to these swimming pool equipment needs, we also have pool covers to make your life easier and your pool safer, as well as all the chemicals needed to keep the water balanced and safe to swim in. Feel free to ask about our pool cleaning service, which makes this process easier and leaves you more free time for enjoying your pool instead of maintaining it. We are always happy to provide the service and advice you need to enjoy your swimming pool or hot tub throughout the year. Contact us today with any questions you may have about swimming pool equipment or come visit one of our two locations today. At Cayman Pool & Spa, we can provide the swimming pool equipment you need in Mooresville, Concord, Cornelius, Davidson, Harrisburg, Huntersville, Kannapolis, Statesville, Troutman, or the Lake Norman area of North Carolina.